A proposed law seeking to exempt persons with disability (PWD) from paying Value Added Tax (VAT) on certain goods and services was approved by the House Ways and Means committee. Principally authored by House Independent Minority bloc leader and Leyte Rep. Ferdinand Martin Romualdez, House Bill 1039 received unanimous support from the members of the committee chaired by Marikina Rep. Romero Quimbo. Romualdez yesterday expressed elation at the approval of his bill, saying it will provide economic relief for PWD and their families. ”My bill’s approval by the committee is very timely and will extend benefits to PWD who are in dire need of support from the government because of their condition in life. 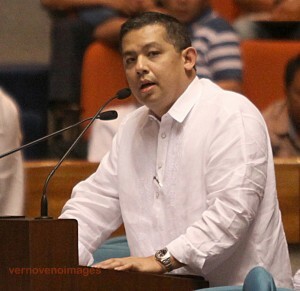 I am thankful for their response to my proposal,” Romualdez said. His measure will constitute a substitute bill together with the same proposal filed by Pasay City Rep. Imelda Calixto-Rubiano. HB No. 1039 seeks to amend Section 32 of Republic Act (RA) No. 7277, otherwise known as the “Magna Carta for Persons with Disability,” as amended by RA 9442. The bill provides that PWDs shall be exempted from VAT in addition to the 20 percent discount they are already enjoying for the classes of goods and services. Abakada party-list Rep. Jonathan de la Cruz, co-author of the measure, said that the bill will help give justice to a disadvantaged sector, the PWD. “It is about time that we give this kind of privilege and assistance to PWDs for them to be active and productive members of society. This is a matter of justice for the disadvantaged sectors,” De la Cruz said in separate statement. According to Romualdez, the proposed VAT exemption shall apply to medical and dental services; purchase of medicines in all drugstores; public railways, skyways and bus fare; admission fees charged by theaters, cinema houses, concert halls, circuses, carnivals and other places of culture, leisure and amusement; and all services in hotels and similar lodging establishments, restaurants, and recreation centers. He added this measure will accord PWDs exactly the same privilege enjoyed by senior citizens who are exempted from the VAT by virtue of Republic Act (RA) No. 9994. ”Persons with disability effectively enjoy only P12 for every P100 worth of good or service because the law does not exempt them from VAT, which is imposed on the net value of the good or service or 10 percent of the P80 after deducting P20, representing the 20 percent discount granted in RA 9442, for every P100 worth of good or service purchased,” he added. Earlier, National Council on Disability Affairs (NCDA) acting executive director Carmen Reyes-Zubiaga backed the enactment into law of Romualdez’ bill as she debunked claims by critics that the proposal would result in revenue loss of the government and be susceptible to abuse.